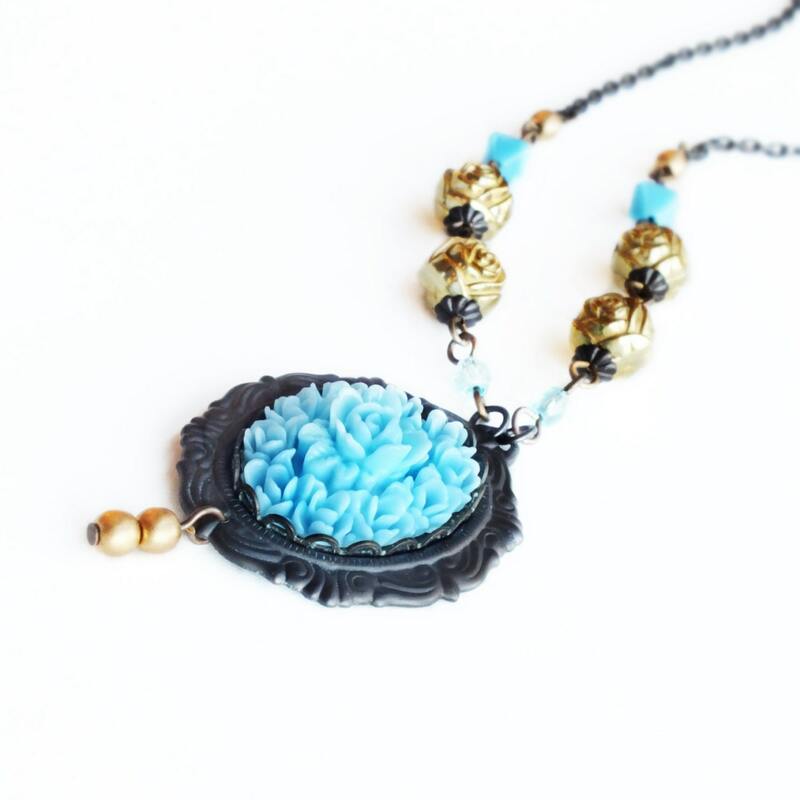 Handmade blue rose necklace with vintage carved blue rose cameo pendant. 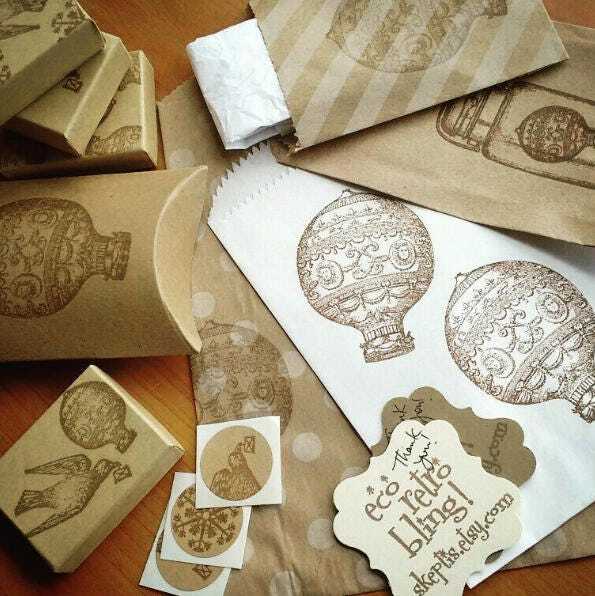 Genuine eco-friendly vintage cameo and beads. 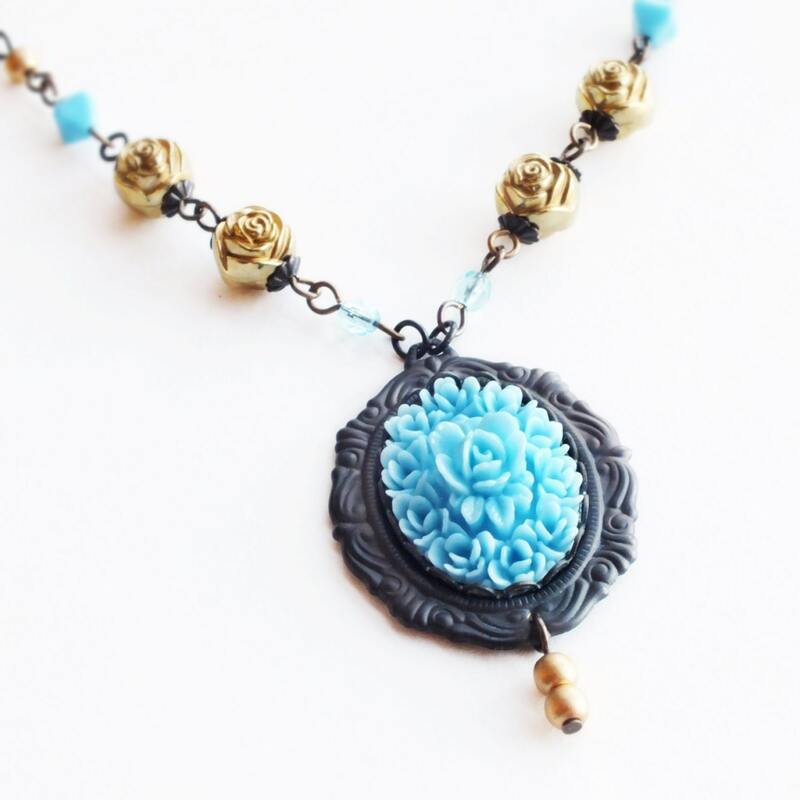 US made antiqued brass setting and chain. 18 5/8 inches - 47.2 cm long. 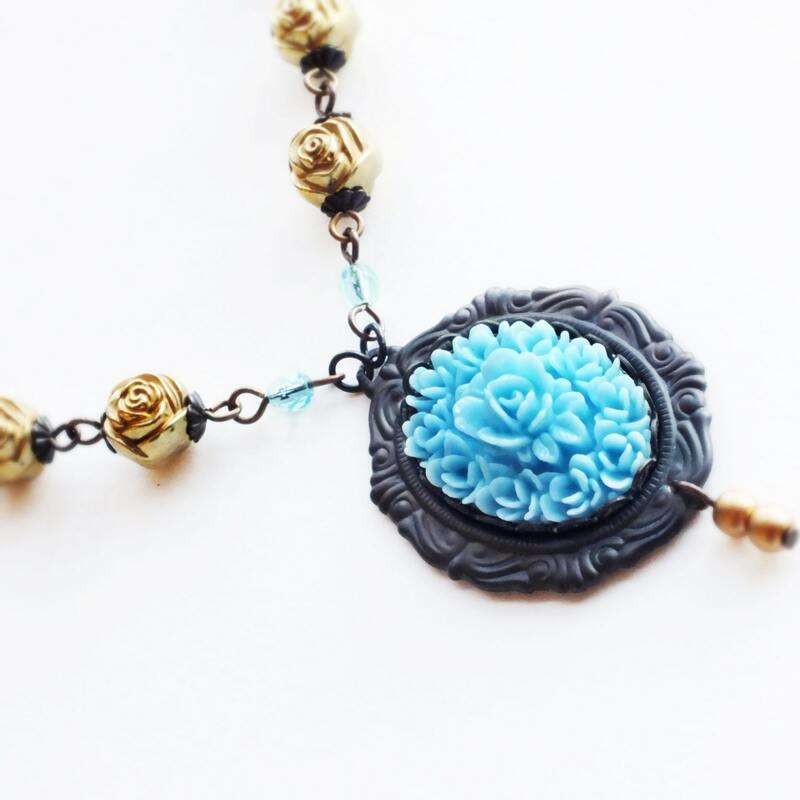 Made with a gorgeous large vintage dimensional baby blue resin cabochon jam-packed with tiny rose buds. 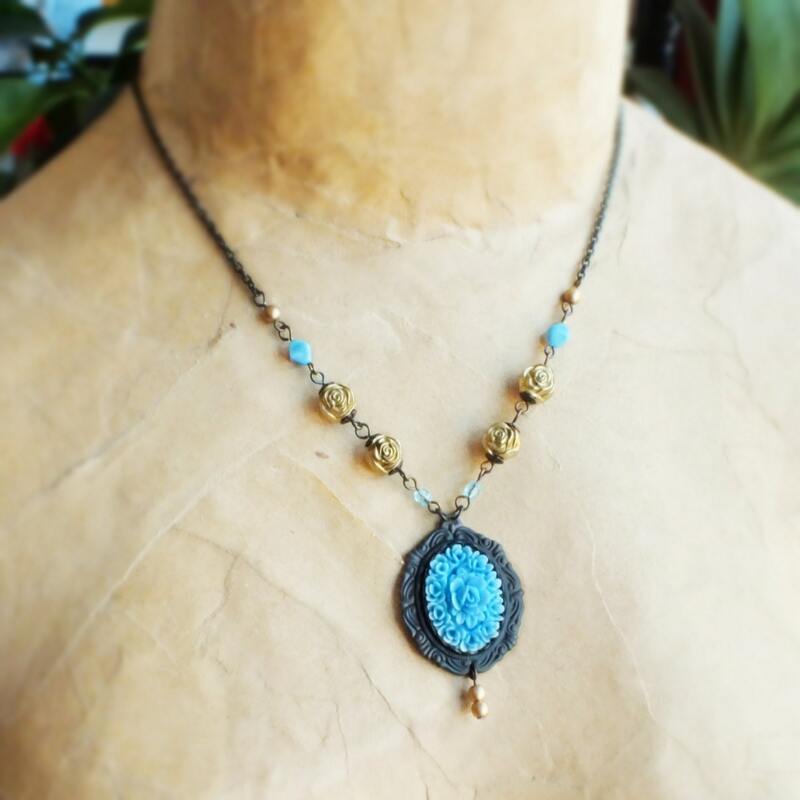 I set it in an ornate brass frame I antiqued to a dark patina. 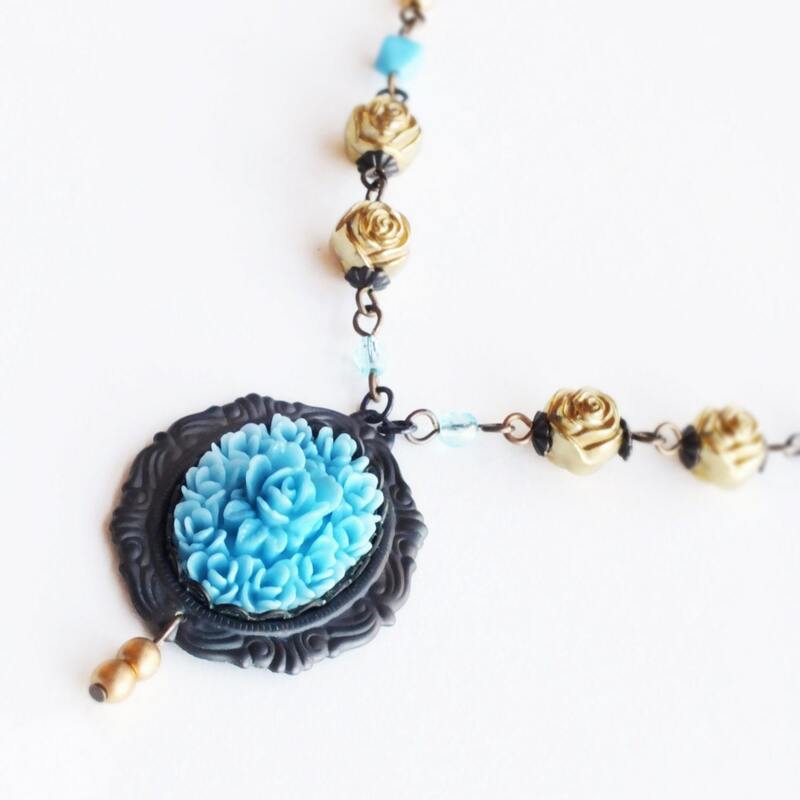 I adorned the oxidized brass chain with matte gold Czech, carved goldtone rose and blue glass beads.